If you’re looking to buy or sell any hard-to-find classic automotive parts, memorabilia or even a vehicle, then the NBACC Swap Meet is the selling or shopping experience for you! 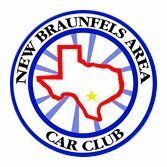 An annual tradition in New Braunfels, this show represents a locally-supported event for car lovers of all ages, and is one of the longest-running indoor car shows in the county. 1,000+ spaces of hard-to-find car parts and related items Food and drink concessions ATM at Fairgrounds Free parts hauling by swap meet volunteers.